The Price Is Right Online Activation Question Of The Week. 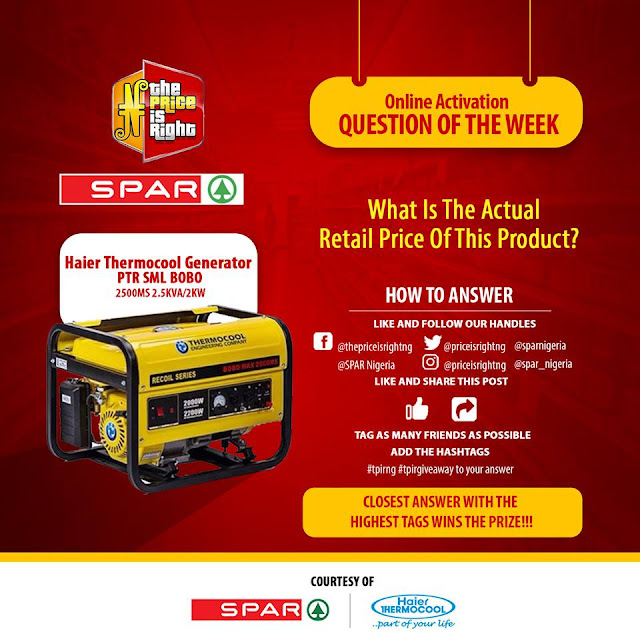 Up for grabs this week is a 2.5KVA Generator from Thermocool Nigeria, courtesy of SPAR Nigeria. Guess the actual retail price and follow ALL the instructions and IT'S ALL YOURS!! Tag as many friends as possible and add the Hashtags.